Write letters to companies demanding deforestation-free palm oil. Tell your friends and family about the orangutans and how important it is to help protect them. 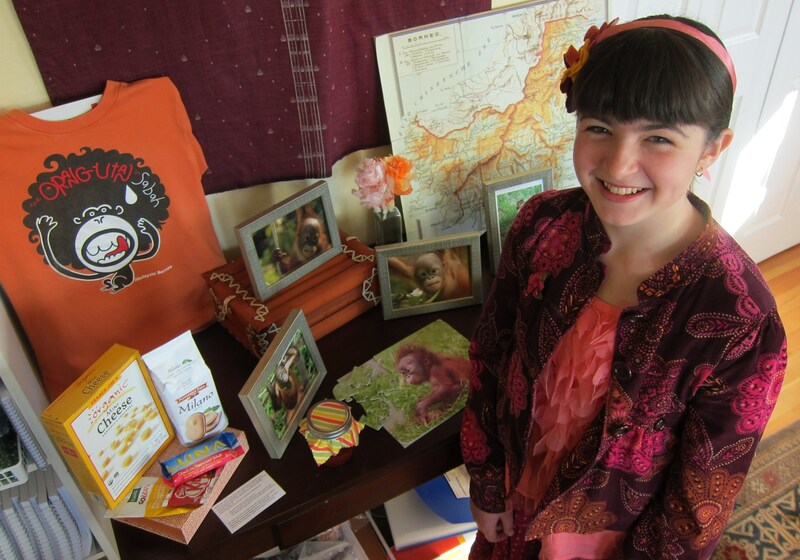 Ask to do a presentation at your school or to your class about deforestation, palm oil, and the orangutans. Set up an awareness table or booth on your street or with permission, in front of a store, and tell people about the problem. Demand deforestation free palm oil by writing to the “Snack Food 20” group of companies—Campbell Soup Company; ConAgra Foods, Inc.; Dunkin’ Brands Group, Inc.; General Mills, Inc.; Grupo Bimbo; Hillshire Brands Company; H.J. Heinz Company; Hormel Foods Corporation; Kellogg Company; Kraft Food Group, Inc.; Krispy Kreme Doughnuts Corp.; Mars Inc.; Mondelez International, Inc.; Nestlé S.A.; Nissin Foods Holdings Co., Ltd.; PepsiCo, Inc.; The Hershey Company; The J.M. Smucker Company; Toyo Suisan Kaisha, Ltd.; and Unilever—manufacture a wide range of popular snack foods in the United States and abroad that contain conflict palm oil. If you decide to fund raise for the orangutans, visit our donate page to learn more about what Jungleheroes raises funds for, what our current donation goal is, and how you can help us reach it. Let us know if you are planning to have a fundraiser at your school or in your neighborhood by emailing us! There’s a lot of work to be done to save orangutans but if we work together we can do it! Have a sponsored walk, run, or swim. Bake cupcakes or cookies and sell them in your neighborhood. Decorate a jar with pictures of orangutans and ask your friends and family to collect loose change.